Urethane spray foam is the biggest innovation in the insulation industry since the introduction of fiberglass in the 1950s. With this simple and effective insulation technique, we are able to create more energy-efficient and comfortable homes, drastically reducing homeowners’ heating costs. 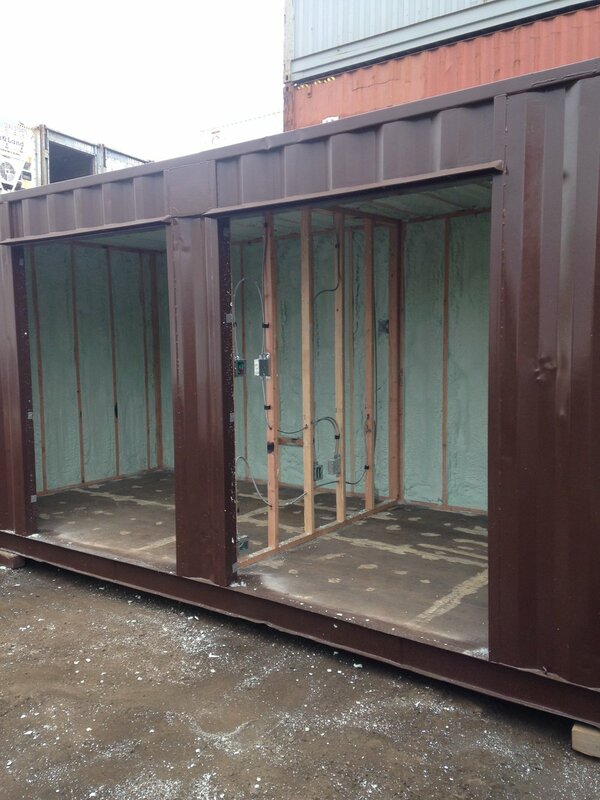 Urethane spray foam is a much more efficient alternative to traditional insulation. As a plastic, it maintains its properties far longer than other techniques- it will not settle, compress, or deteriorate. This translates to future time and cost savings for you. Modern urethane spray foam is made by two components that expand to adhere to any clean dry surface. Unlike cellulose and fiberglass insulations, urethane fills the cracks and penetrations of the building. Certainly, it seals off heat-sucking air transfer, but it also prevents airborne dust and pollen into the home. Many insects and pests are deterred by the sealing properties of urethane spray foam. Exterior wall of home without urethane sprayfoam insulation. Exterior wall of home with urethane spray foam insulation. Crawlspace application on a block wall with urethane sprayed to an R value of 38. Concrete vaults for underground water systems. 25,000 gallon fuel tank application with 1.5 inches of urethane (polyshield coating below). 25,000 gallon fuel tank application with polyshield application following the urethane coating. Deicer pods for remote airports. Closeup of an R-38 urethane application on crawlspace floor joists. A cave made of urethane spray foam for a local production company on a movie set. 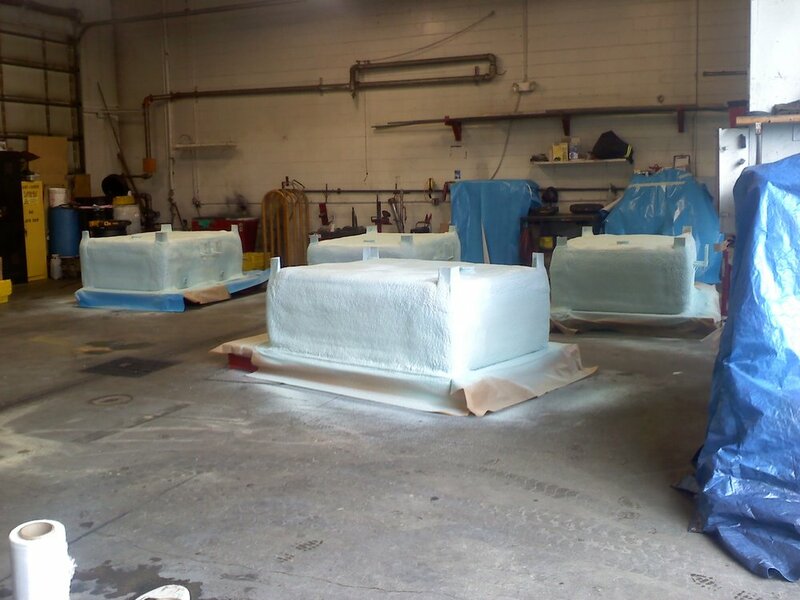 Tanks with 4 inches of 2 pound urethane. Urethane in a box van. 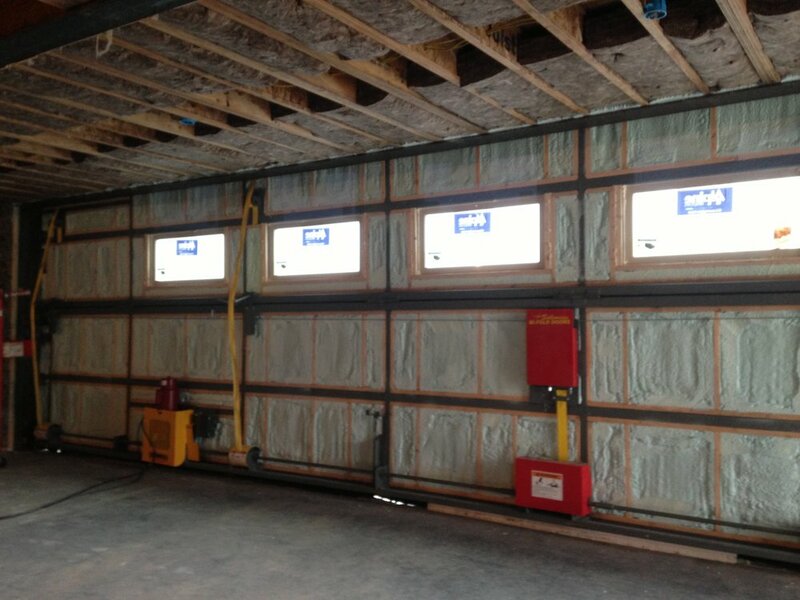 Urethane sprayed into a 2x4 wall for achieving an airtight R-21 value. A thin coating of urethane on your connex ceiling will prevent condensation. Roof conversion from hot to cold. Removing the old fiberglass and replacing it with urethane spray foam allows you the ventilation sought after in a cold roof. Local Anchorage artist with a urethane sprayed artwork displayed at Dimond High School. 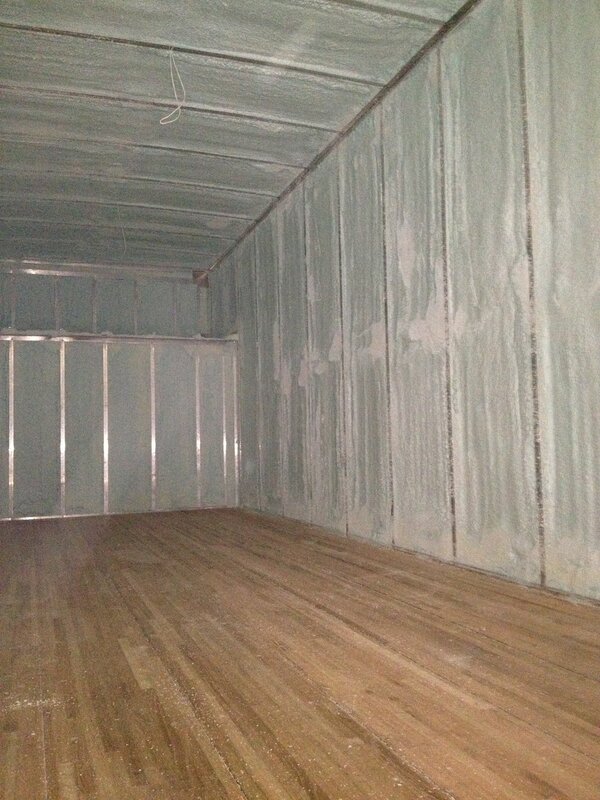 This box van was sprayed with urethane foam. The photo was taken as wood sheeting was being installed into the interior. Water truck with a 2 inch urethane coating. Tank complete with risers ready to be buried underground. Quonset hut with urethane and polyshield coating. Urethane foam can be used to change your current hot roof into a more efficient cold roof system. We can achieve the sought after R-38 value in less than 6 inches, where fiberglass may require up to 12 inches. Underside of an industrial skid. Insulated snow machine trailer for those cold nights. 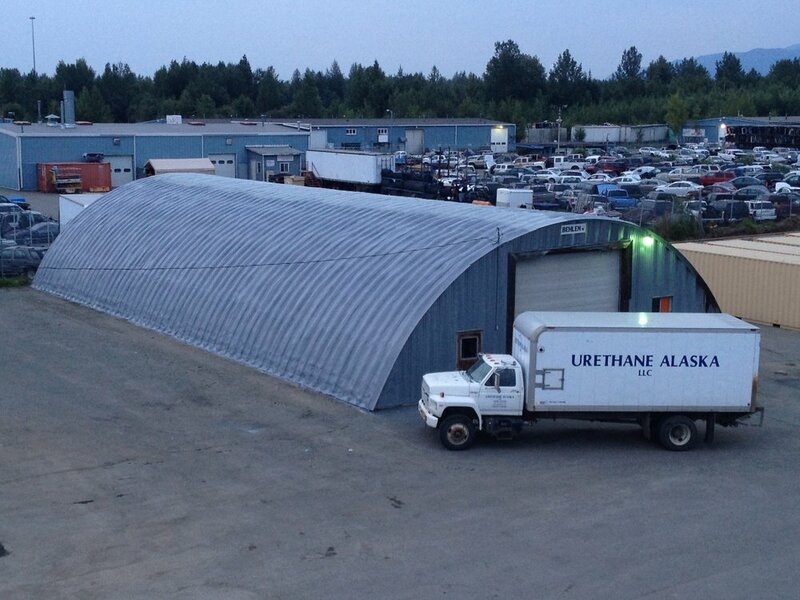 Urethane and polyshield applications for rural Alaska. The blue tanks are for fresh water usage while the brown tanks are for black water transportation. Residential airplane hanger door with a 3 inch urethane application. R-21 2x4 and rim joist urethane application. Urethane foam applied to the underside of a skid. 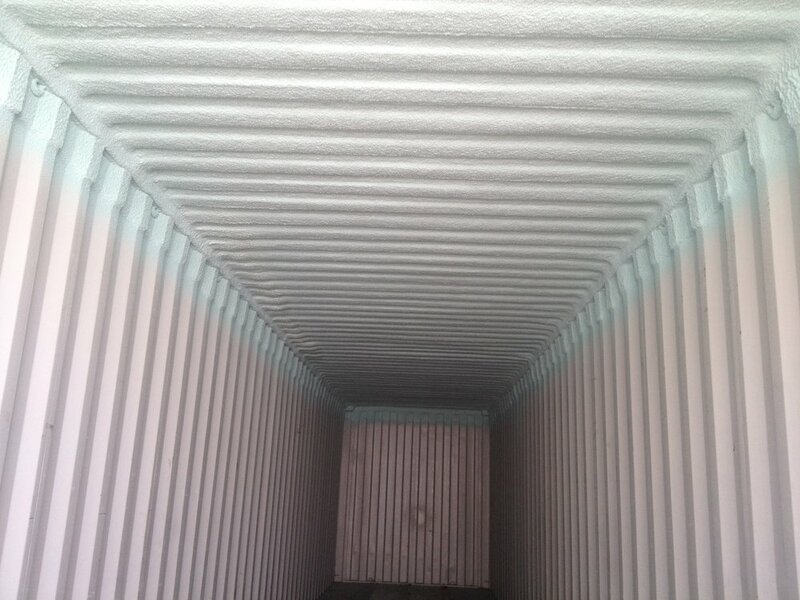 Trailer roof with urethane foam and coating. Demilec spray foam insulation is the innovative choice for more energy efficient, eco-friendly insulation. The many benefits of spray foam insulation include notable energy savings, decreased outside pollutants, sound proofing from outside noise disturbances, and an effective sealant that creates both an air and moisture barrier. Spray foam insulation has been recognized as an Eco Logo Certified Green Product and an NAHB Research Center Green Approved Product.